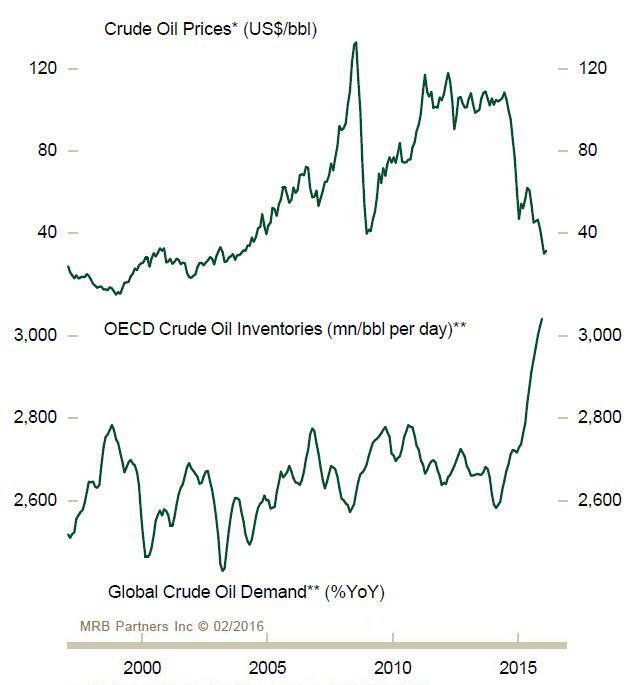 The collapse in oil prices is being driven primarily by supply rather than demand factors. 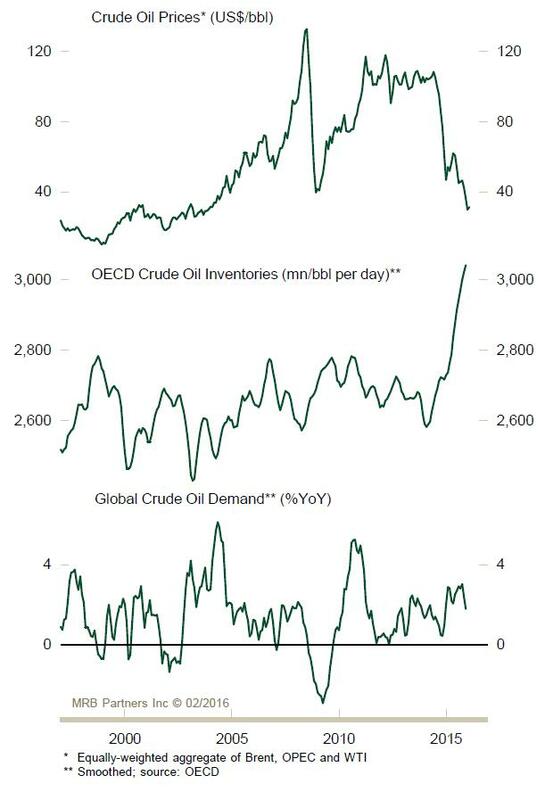 The decline in oil prices over 2014 and 2015 coincided with a massive increase in crude oil inventories. It is also important to note that global oil demand has continued to grow at a solid pace over that time period. Nonetheless, many investors associate falling oil prices with weak economic activity, which we believe to be a misguided conclusion. The collapse in crude oil is now undershooting fundamentals. Supply responses will cap upside, but improving global demand will eventually create a durable floor under prices. The recent drop is not supported by the underlying trend in supply/demand. In fact, prices have now likely plunged below the breakeven costs for a number of key producers. Although a final capitulation phase is common when bubbles burst, it can prove destabilizing if it occurs in an asset class as important as commodities (as seen by the recent blowup in the high-yield debt market), especially if growth in commodity-importing economies remains sluggish. Crude oil prices could further in the near term on the back of speculative behavior. However, recent prices have dropped into a significant technical resistance area. Brent oil prices plunged to these levels during the depth of the Great Recession, an area which also held from 2000-2003 when repeatedly tested as the commodity boom took off last decade. These levels also marked the ceiling during the early-1980s OPEC embargo and the 1990 Gulf War spike in oil. Unlike during the Great Recession and the early 2000’s, oil demand growth today is positive. This implies that it is getting risky to short oil at current levels, especially given evidence that global growth is beginning to firm. Indeed, we expect a bounce in prices to soon develop, even though our view is that commodities will continue to underperform more productive assets in the years ahead.